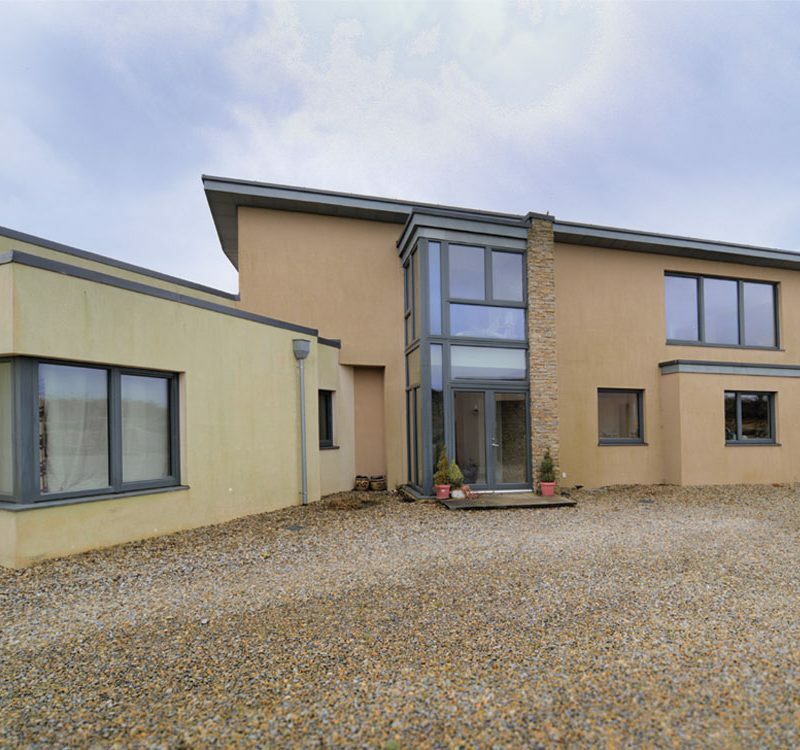 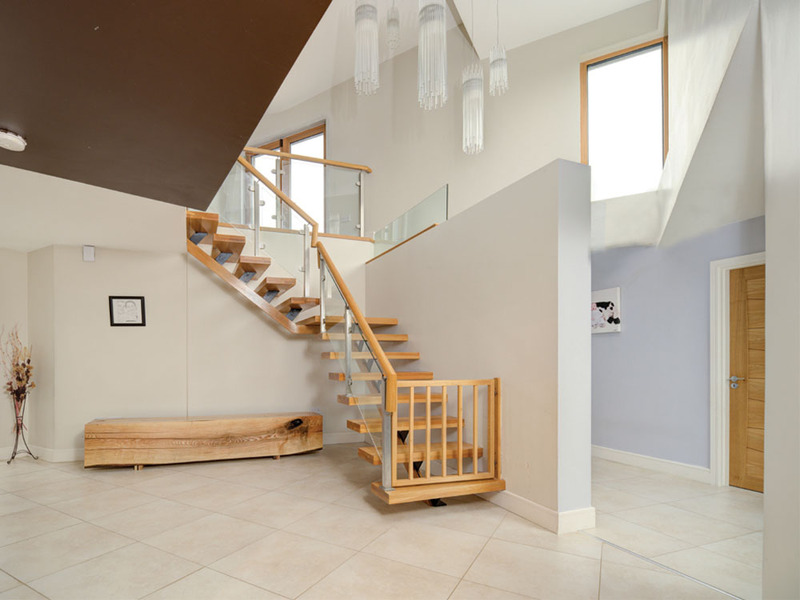 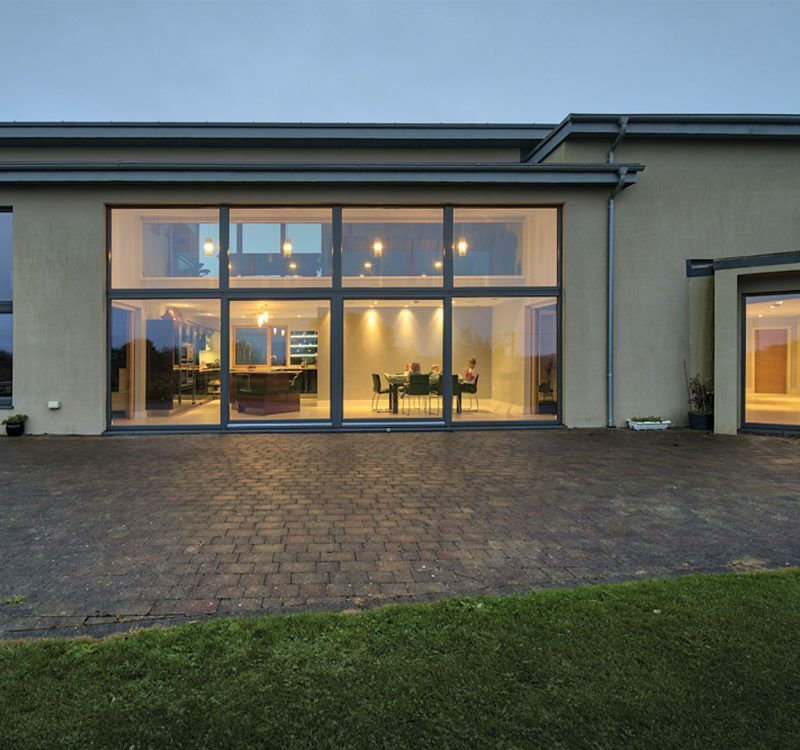 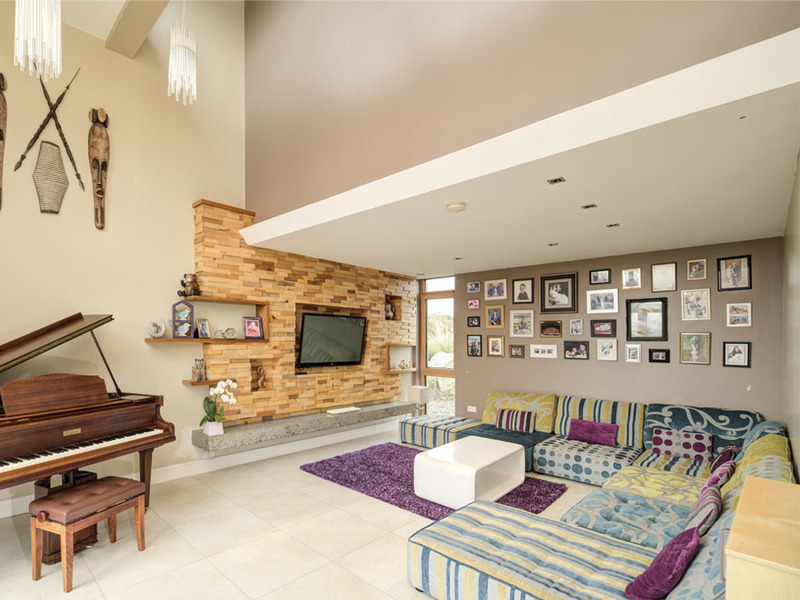 We were employed to design & build a contemporary family dwelling. 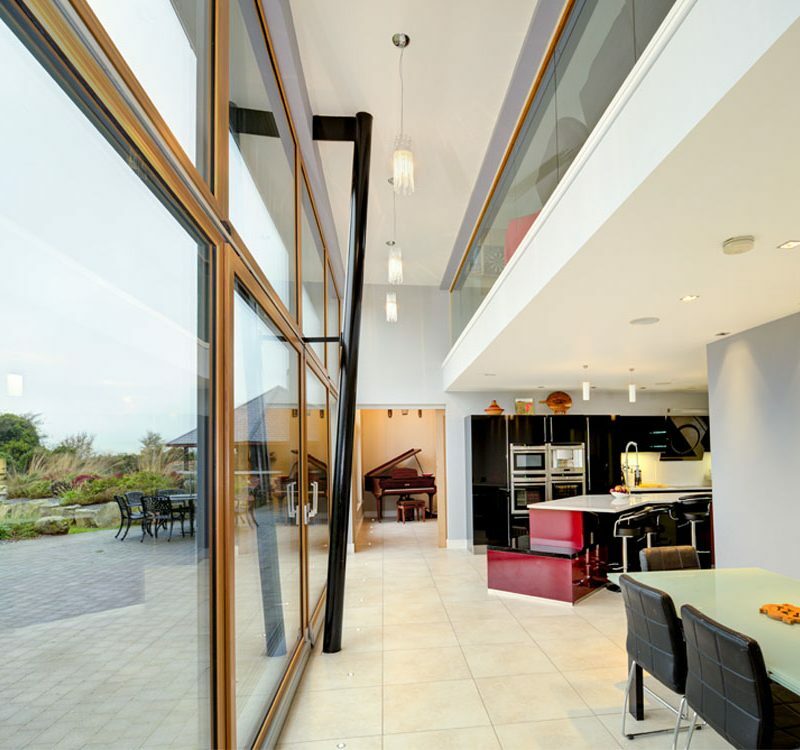 The clients were keen that the dwelling would be spacious & unique but also function as a working family home. 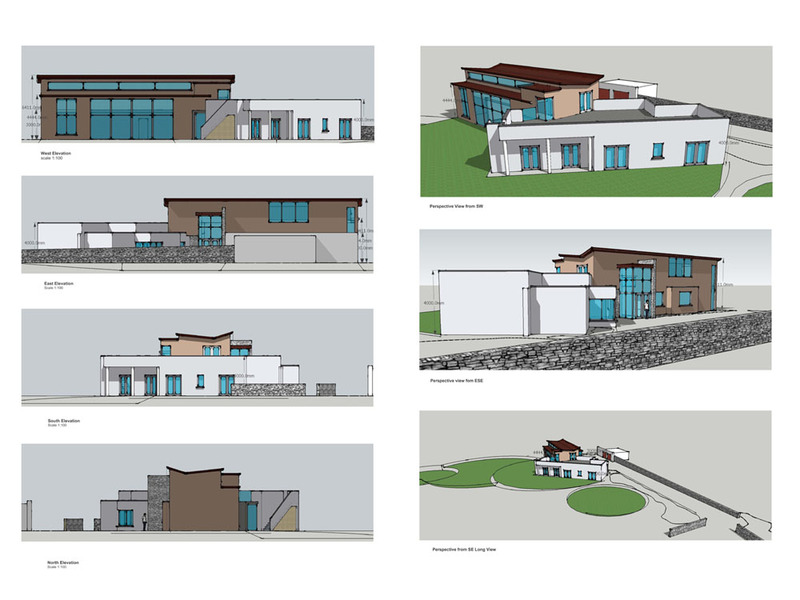 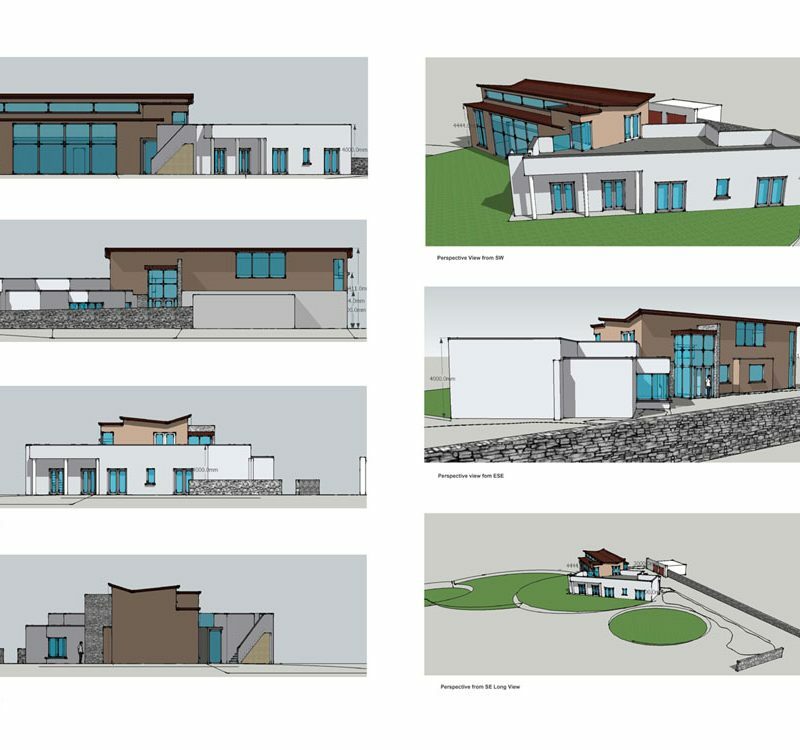 The dwelling is designed in two parts; one with kitchen living and dining spaces and the other with bedroom spaces. 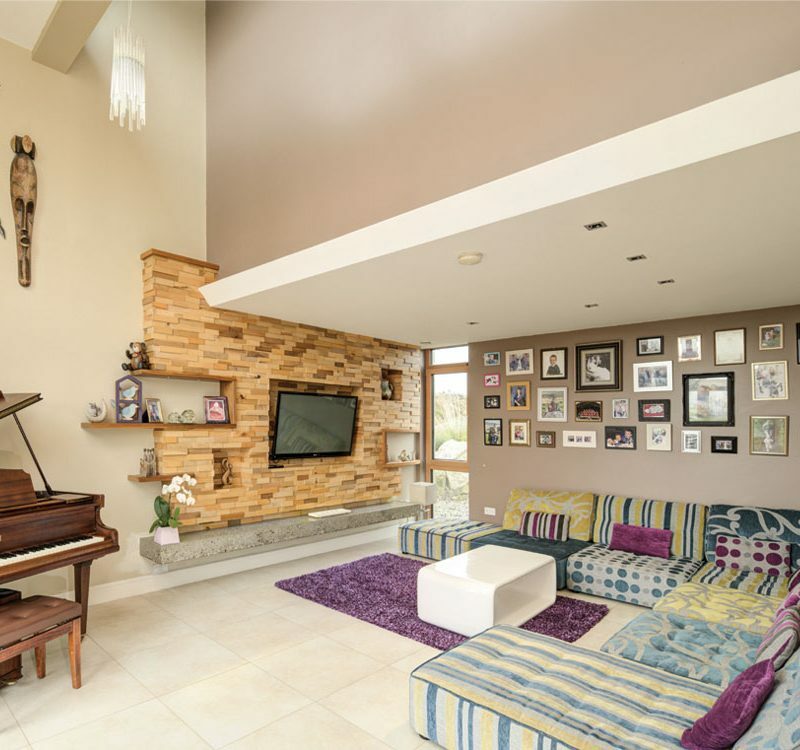 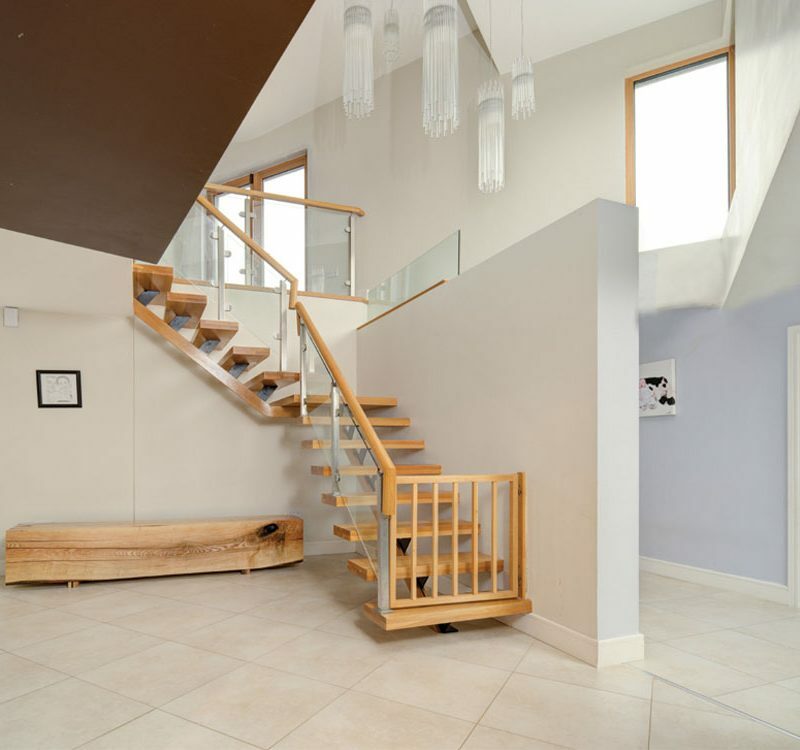 The main entrance and stairs is located at the junction of these two “wings.” A games room and home office is located on first floor above the living areas with a roof garden over the bedroom spaces. 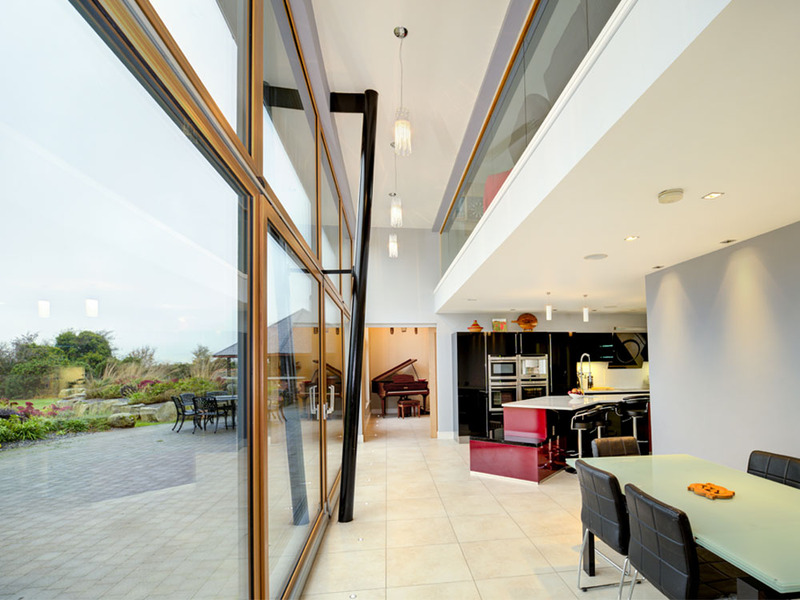 Large expanses of glass allow the kitchen & dining area to open out onto a patio area when the weather allows. 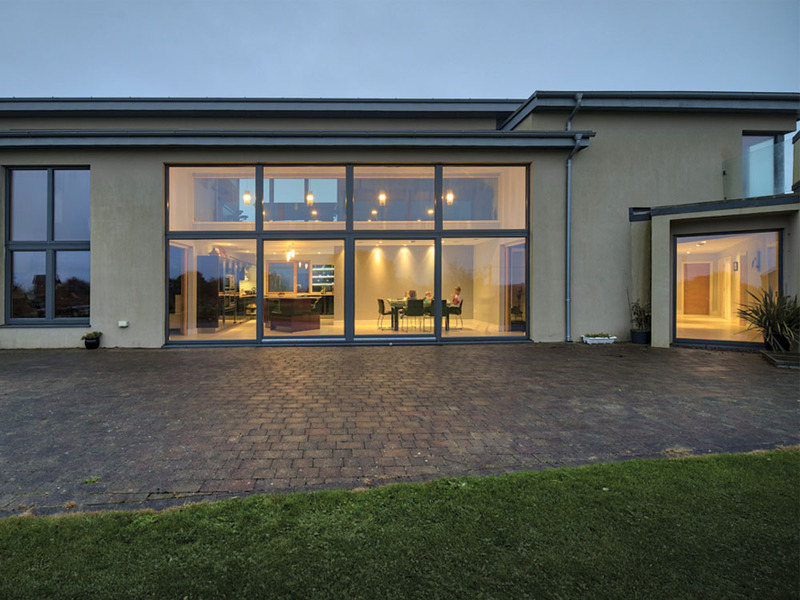 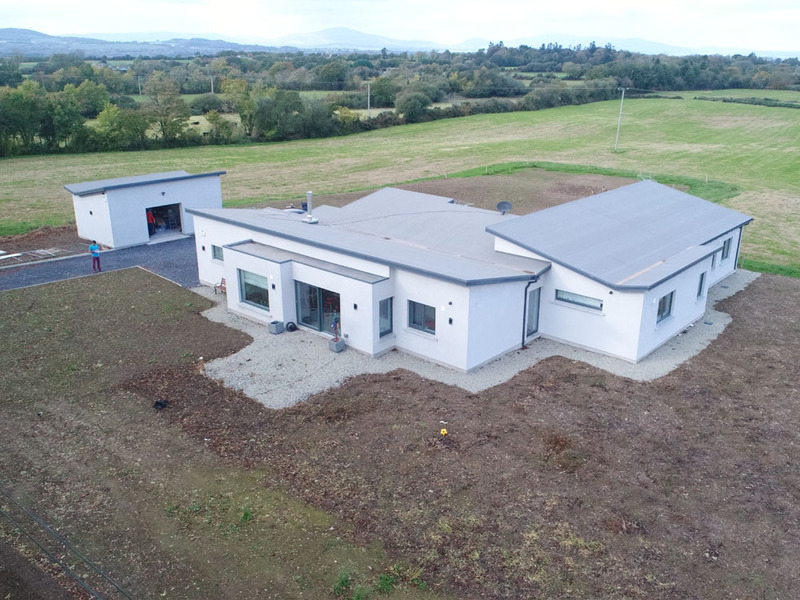 The house was constructed using insulated concrete form work and triple glazed windows ensuring an energy efficient dwelling. 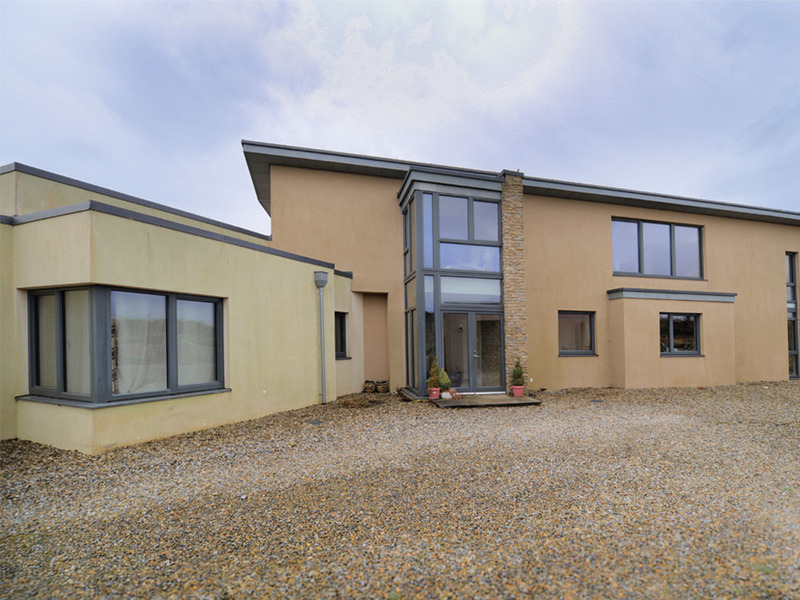 The low profile roofs with modern fascia & soffit give the house a slick contemporary feel.